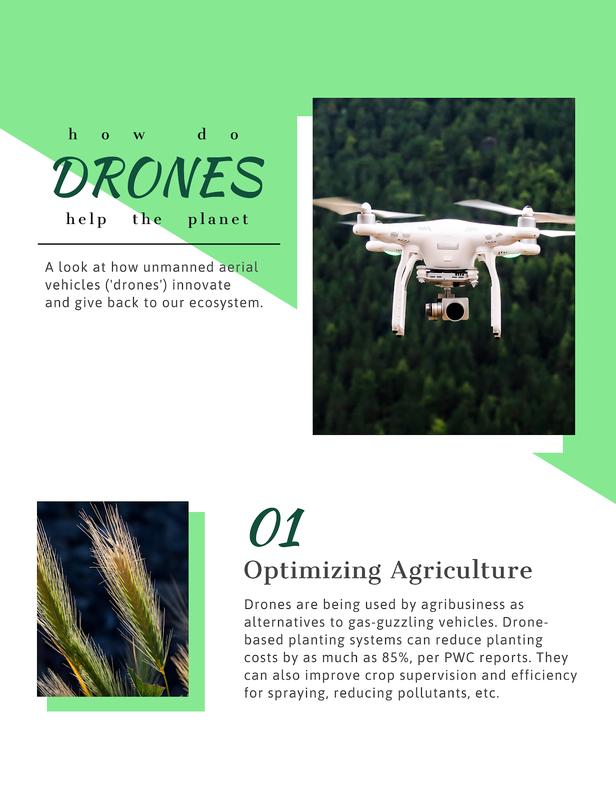 Home Infographics Trending Infographic - How Do Drones Help the Planet? Business giants like Amazon and Uber have yet to bring their drone-based plans to fruition. While we're still probably years away from flying deliveries, drones have made a real impact elsewhere. In the world of sustainability and green supply management, they've helped take ambitious initiatives to the skies. 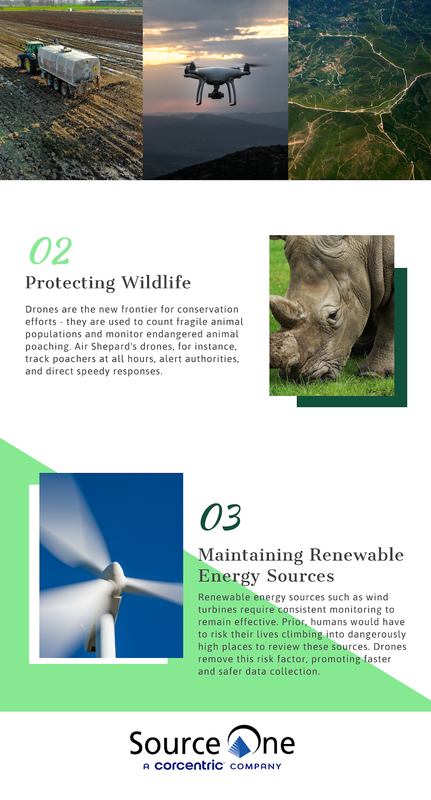 Check out a few sustainable drone applications below.